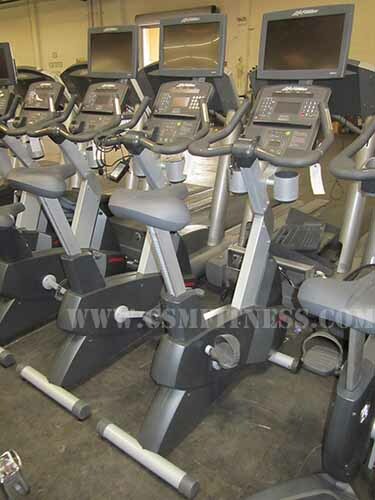 The Life Fitness CLSC Integrity upright bike was built for easy use, riders of all sizes that can adjust the bike seat in seconds to ensure an optimum workout. This upright bike includes 29 workouts that include 5 zone training workouts that automatically adjust the resistance level and keep users in their target heart rate zone. The CLSC integrity upright bike has digital heart rate monitoring hand sensors that are placed conveniently placed on the handle bars to provide precise heart rate monitoring. This upright bike is cordless. It is self- powered so you can place it where you want.